BLUE GOLD is non-toxic, non-flammable and non-corrosive. It is rust inhibitive, stable in long-time storage, and is not damaged by freezing. 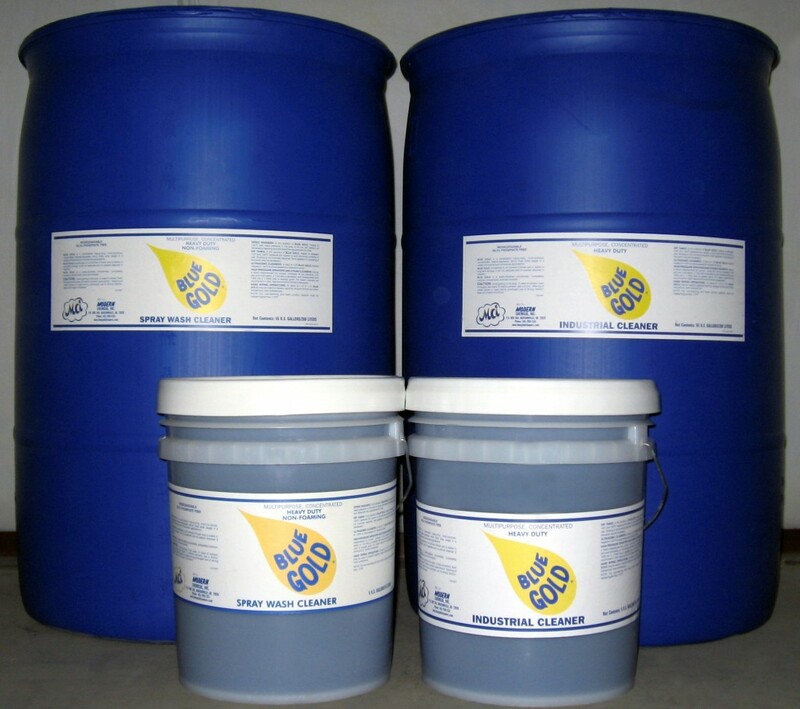 BLUE GOLD is a liquid, water-soluble, biodegradable concentrate used for cleaning and degreasing parts and equipment. This single solution, used in varying concentrations with water, can replace half a dozen or more other products, many of them hazardous and expensive, which must ordinarily be kept on hand in large amounts. Will save you money. It’s concentrated; each 55-gallon barrel provides 1,100 gallons of usable solution BEFORE it’s recycled. Will simplify your inventory because it works on ALL metals. Doesn’t injure or kill anyone; doesn’t force you into court; doesn’t put you at the mercy of the EPA or OSHA. Enhances your operation’s productivity and improves employee relations. By showing your employees that you are genuinely concerned about their health you will increase loyalty and productivity. Can be used in dip tanks, spray washes, high-pressure sprayers, steam cleaners, ultrasonic cleaners and hand wiping. Replaces the many industrial cleaning products you now use. Available in 1 Quart, 1 Gallon, 5 Gallon, and 55 Gallon Drums.